Tiffany employees honor every special moment in our customer’s lives and every unique gift that commemorates their milestones. This differentiating factor, known as the Tiffany Experience (Creating Connections, Providing Personalized Experiences and Honoring the Tiffany Legacy) is never compromised…. and it never will be. 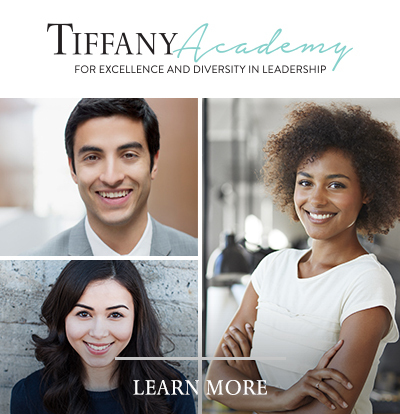 The Manager will support the Director in leading, developing and supporting the sales, operations and security team members to meet and/or exceed sales plans and elevate the Tiffany store experience. S/he will assume oversight for the store when the Director is not present. The manager is a dynamic, attentive and inspiring leader who builds relationships with internal and external clients; someone who could be called a mentor, a coach, and who acts as a Guest Experience Manager, ensuring unsurpassed customer service. S/he manages an efficient back of house and is a collaborative sales leader who models and champions the Tiffany Cultural Values is a collaborative sales leader who models and champions the Tiffany Cultural Values: Honor the Customer, Think Boldly, Lead with Passion, Do the Right Thing, and Be Brilliant Together. Sales: Deepen the relationship with our customers to achieve sales plan and drive lifetime loyalty and spend. Manage and motivate the team to consistently achieve or exceed monthly, quarterly and annual store sales plan. Drive client development activities among individual team members to cultivate new and existing clients. Demonstrate sales leadership by playing an active role on the sales floor and managing client relationships personally. Drive business through key product pillars. Service: Elevate in store experience consistently delivering memorable moments. Lead, model and coach based on TEI (Voice of Customer Survey) feedback and elevate the Tiffany Experience Index by keeping the survey questions in mind. Act as Guest Experience management presence on the sales floor, coaching the team on the Power of Blue selling ceremony and ensuring Tiffany customer experience expectations are being delivered at all times. Optimize hospitality and store amenities to create unique experiences. Take action on TEI performance and client feedback to improve customer service. Operational Excellence: Ensure exceptional operational support to drive sales and service. Manage efficient back of house and ensure consistency with established operational procedures. Identify and execute efficiencies and best practices. Ensure compliance with all internal control procedures. Partner with Market Operations Manager to reallocate resources to sales and clienteling through supporting key pillars. Talent: Elevate and hire talent to ensure a winning team and create a best in class service & selling organization. Partner with the Director to develop and execute a Talent Action Plan for each employee. Continuously train, coach, and provide qualitative feedback, utilizing reward and recognition as well as performance management process to improve team engagement and performance. Network and recruit to build a pipeline of diverse, multi-lingual, highly skilled talent. Minimum of 3 years of retail or luxury retail store management experience or relevant customer related experience (e.g., hospitality). Proven track record in sales generation, managing the achievement of sales results.